Is your faith in Jesus Christ? Many of you will instantly say “yes.” However it is a question worth pondering for all of us. This woman’s issue was solved when she sought Christ through faith. Now I’m sure that many of you reading this trusted in Christ at some point in your life and received salvation. You cannot lose your salvation, but in the important issues of life do you still have faith in Jesus? Do you still trust Him? Is your faith still in Jesus Christ? It baffles me how so many “saved” people don’t trust Christ for the everyday issues of life. 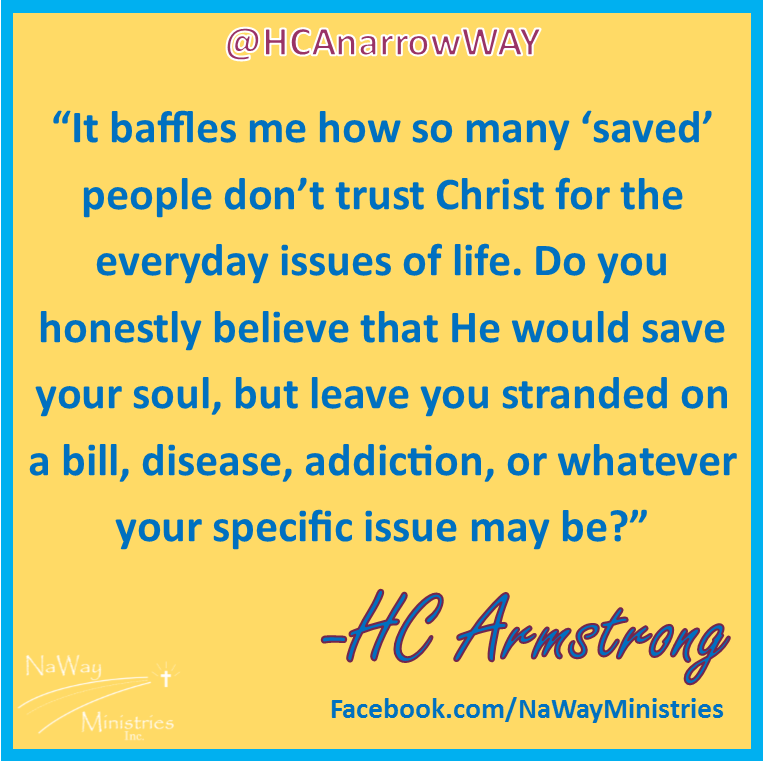 Do you honestly believe that He would save your soul, but leave you stranded on a bill, disease, addiction, or whatever your specific issue may be? You can always trust Jesus in all circumstances of life. Trusting Him is what started the relationship. Now allow that relationship to flourish.